This month has been super busy! Hence the lack of posts! The lead up to christmas has begun and we are all very excited for season ahead! This month, especially this week there has been lots of support nationally for Macmillan (hope every managed to eat cake and raise money in a coffee morning!) and Stand Up for Cancer. 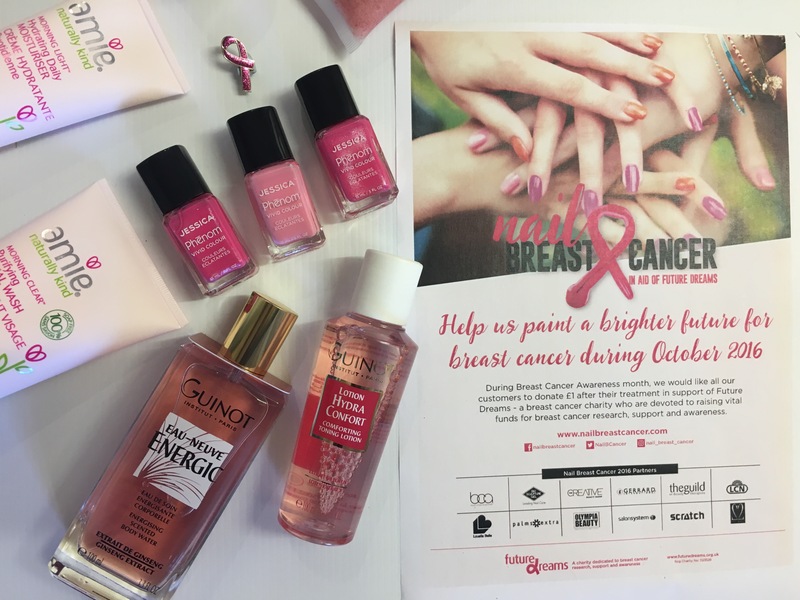 We know that nearly everyone has unfortunately been affected by cancer in someway and to show our support we are dedicating this month’s product of the month to pink! In particular our Phenom Vivid Colour vanishes in Barbie Pink and Divine Miss. Barbie Pink is a bright shade of hot pink which adds a pop of colour to the nails. We are obsessed with this colour as it looks so chic with a monochrome outfit. Divine Miss is more subtle, as it is a light baby pink. Is a great everyday pink, perfect for both day and night! The formula of these nail vanishes are so good, they dry much quicker than regular polish, and with the Finale Shine topcoat leave the nails looking perfect and polished. The shine given by the topcoat, makes it look much like GELS but are easily removed with standard nail vanish remover! They also last much longer than regular nail vanish, another similarity between Phenom and GELs. We hope you support Cancer charities this month, no matter how big or small!